Giving your staff and pupils access to the internet is an empowering, educational act, that is no longer a ‘nice to have’ but is a pre-requisite for developing literacy in schools. However, teachers, parents and even pupils must also be aware of the dangers, and take responsibility over online safety. At KBR, we are committed to working in partnership with our customers to help ensure online safety. That’s why we’ve published this blog outlining three simple rules for safeguarding your school, pupils and faculty when using computer technology and the internet. Providing WiFi, along with access to computer technology is a pre-requisite in schools today, as ‘enhancing computer literacy’ has become an important part of the national curriculum. Whether or not your school has a formal mobile, technology and internet usage policy, it’s a safe bet that teachers and pupils are already using their own devices to access information and apps during school hours. It’s a good idea to provide clear guidelines for what to do and what not to do when using a mobile device, be it school-issued or personal. On this point, pupils are being encouraged to ‘bring your own devices’ to learn from and work from in many schools. Rather than seeking to protect every device, it might be a better idea to advocate a content-centric approach that protects school information, and the flow of information, rather than the endpoint pupils and teachers are accessing it from. Where should children save their homework? 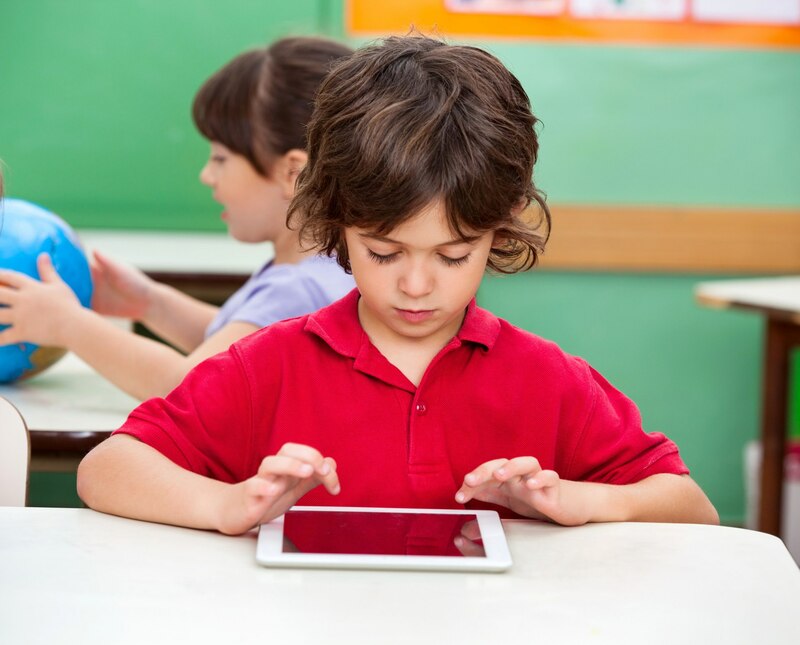 How should teachers communicate with children online? Which apps are allowed and which are not? Who is responsible for the computer equipment? What happens if children lose their own devices whilst on school property? These are some of the questions your policy should seek to answer. For many schools deploying new mobility solutions, the first impulse is to build the most secure IT environment imaginable. Indeed, state-of-the-art security should be top of your mind, but schools should also be mindful of going overboard and inadvertently creating an inhospitable digital learning space. “You can purchase a security solution that locks down every type of content imaginable, but you can do that to your own detriment,” Gareth Tomlin, Technology Director of KBR explained. “It’s important”, he continued, “to work with parents and staff to agree what is appropriate for children to access at school, and what is not. Social media, for example, can divide opinion but it’s important to make informed decisions and not ‘lock it down’ without consultation. It could be an important learning and collaboration tool”. At the end of the day, the use of technology and the internet in schools is all about learning and the development of core reasoning, cogitative and literacy skills. There is a simple rule of thumb: provide pupils the solutions you’d want to your children to have. At KBR, we have a long-term passion for IT in classrooms and we’re constantly testing new technology to ensure our customers have the very best WiFi access and online security to enable safe and reliable online learning and collaboration. If you’d like to know what we’d recommend, please do ask us! We’re parents ourselves.